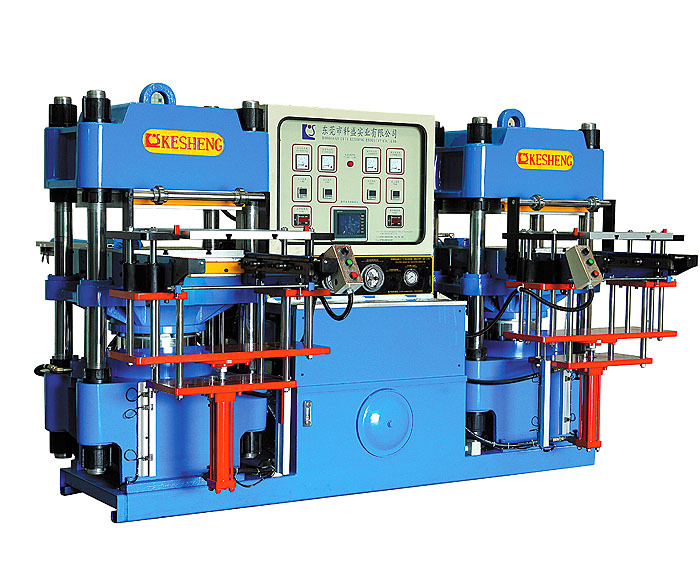 High-precision double-pump full-automatic front-style 2RT hydraulic molding mach-High precision automatic plate curing machine-Dongguan City Kesheng Machinery Co., Ltd.
1. With proofread slow speed of mold function, proofread mold more accurate, more secure. 2. Suitable for variety 2-layers or multi-layers molds, it is a kind of new multi-function machine. 3. Adopt dual power individual circuit design, stable, quiet, low failure rate, two axes can be operated simultaneously. 4. With adjustable slow speed of mold features to suit different types of modules. 5. Out-In mold positioning accuracy, positioning 100% security, to ensure that mold does not damage. Industrial rubber parts, auto parts, medical bottle stopper, melamine, kitchen supplies, supplies, strap, silicon / rubber, such as the multilayer molding products.